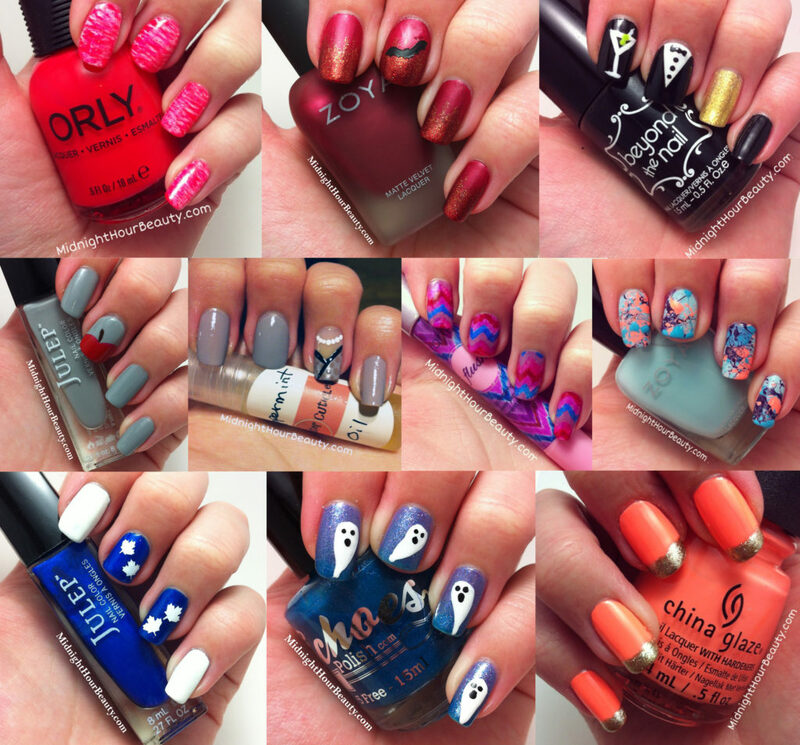 Back in the fall, I decided to participate in a nail challenge that involved painting my nails every day for one month. There was a list of inspirations to use for each day, which felt a little restricting at first. I quickly became aware of how difficult it can be to stay inspired for that long, so by mid-month, I was thankful for the list of ideas. 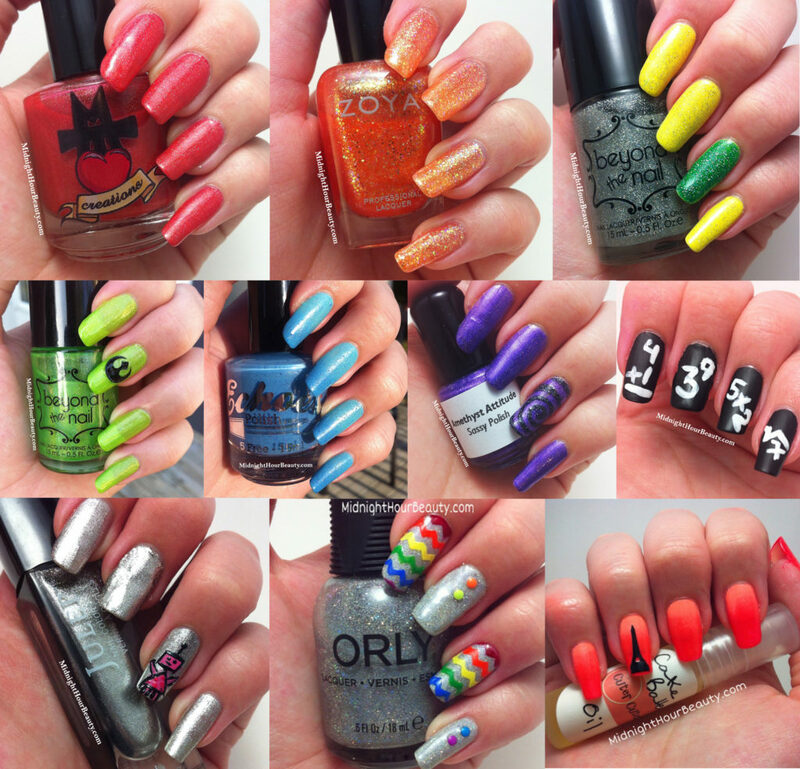 Lately, I’ve been looking back on that challenge and recreating some of the manicures with slight variations, so I decided it was time to compile the entire challenge into one post for easy referencing. The first 10 days of the challenge were inspired by colours: red, orange, yellow, green, blue, violet, black & white, metallic, rainbow and gradient. Days 11 to 20 were inspired by styles: polka dots, stripes, animal print, flowers, delicate print, geometric, glitter, half moons, galaxy and water marble(which was a total disaster!). 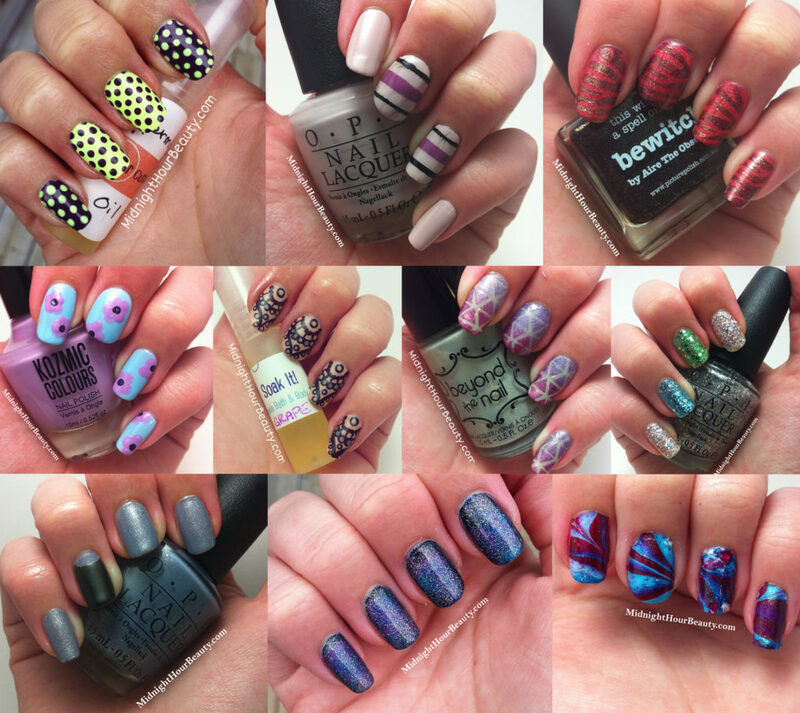 The final 10 days of the challenge included a variety of inspirations, which required a bit more creativity: a colour, a song, a movie, a book, fashion, a pattern, artwork, a flag, the supernatural and nails you love(I recreated a mani by pawlished.kait).